NuBo produce luxury, high quality skin care for both men and women but a rarity as they have an extensively dedicated male skin care range. The NuBo Perfectionist Shade One is for both men and women and although there are lots of corrector / perfecter type products out there, none that I’ve found are quite like this. Not only does it leave skin looking flawless, pores invisible and complexion radiant, but treats the skin throughout the day through Micro-injected Hyaluronic Acid Spheres. 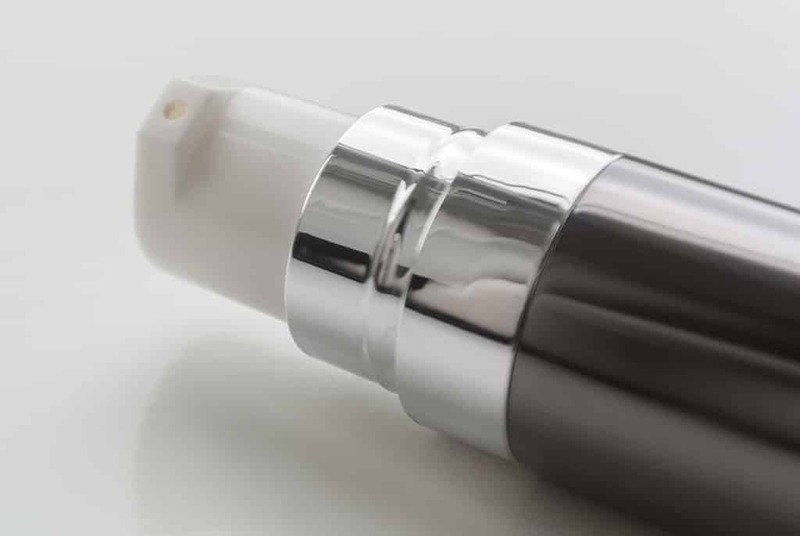 Micro-injected Hyaluronic Acid Spheres fill out the skin a little like silicon does in most primers, but within each sphere is Hyaluronic Acid, a powerful humectant (moisture-bonding agent) that binds moisture to the skin. When applied to the skin, you can’t see the product at all, but you immediately notice that your pores almost completely disappear. It feels soft and comforting whereas many competing products leave you feeling a little dry and dehydrated as not only do they soak up excess oil, but seemingly all moisture, well not this, mattified but hydrated. Lines, wrinkles and imperfections fade to insignificance and I also find this lasts throughout most of the day! You need only apply the smallest amount on top of your moisturiser and other skincare, and apply it wherever you feel it necessary. I find applying it over my forehead, nose and chin completely transforms my complexion and I’m ceased to be impressed by the results. The NuBo Perfectionist Shade One from NuBo’s own site is £40, but you can pick it up here from Mankind.co.uk for just £24.85. Let me know how you get on and if you have any recommendations of NuBo products I should try out. This article first appeared on MANFACE written by Thom Watson. It was published on Monday 7th January 2013 and was last updated on Monday 3rd April 2017 at 4:00pm. It's categorised under NuBo, Special Care where you'll find more related content.